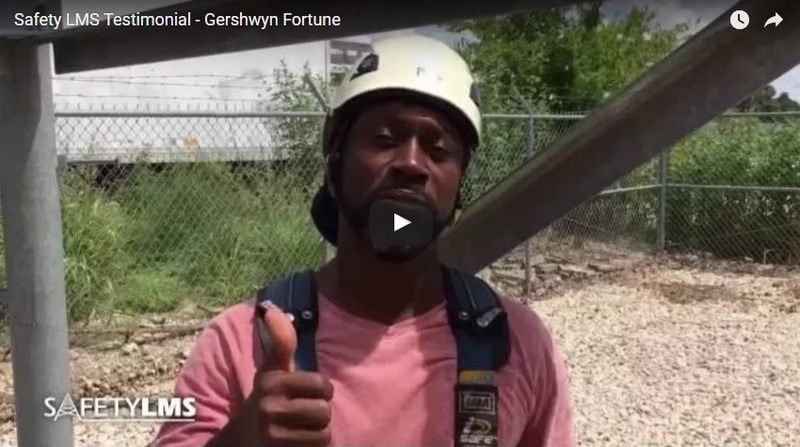 It’s time for another Safety Course Breakdown by Safety LMS. 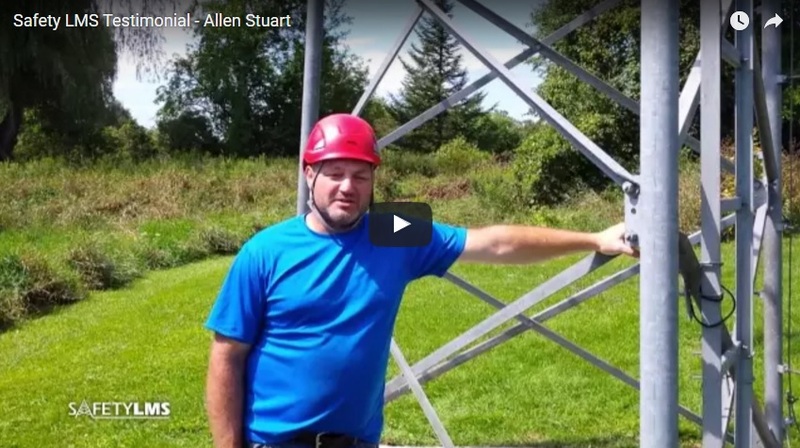 In this section we’ll give a quick preview of our wide selection of courses to give insight to why Safety LMS is the best training company in North America. One of the most sought after classes is the Competent Climber/Rescuer Train the Trainer course. 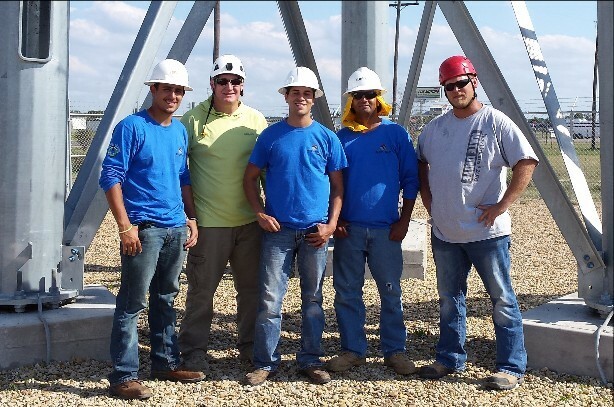 After successful completion of the Train the Trainer course, that employee is able to train their staff by themselves and receive a certification valid on all US tower sites. 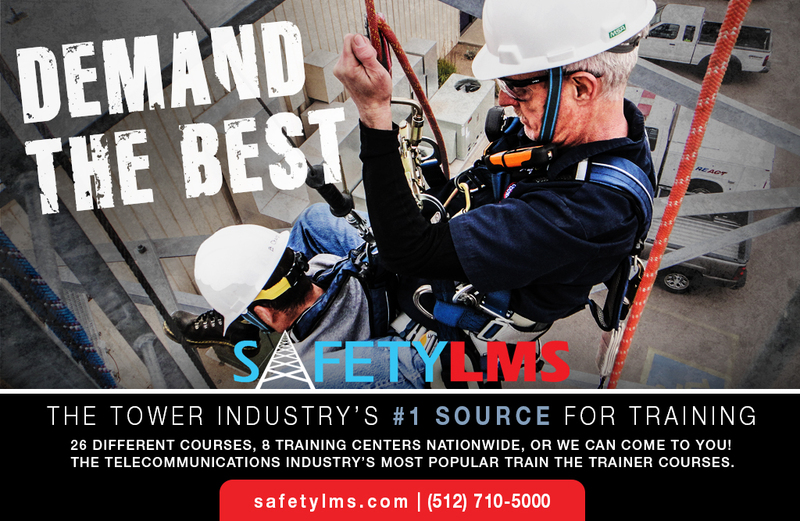 Safety Fact: Safety LMS In-House Trainers can immediately train their fellow qualified employees to a competent level, there is no need to upgrade the trainer’s certification at a later date. A Train the Trainer certification shouldn’t just be seen as a money saving opportunity, there is a lot of responsibility that comes along with it. The main responsibility being that they are now in control of their entire company’s safety. Not caring about the quality of training that you pass on is simply not acceptable. We implement the strictest requirements for our In-House Trainers to ensure they are qualified and care about their company’s safety rather than just their pocket book. The Train the Trainer Course is a 3 day course with 1 classroom day and 2 days on the tower. Extra time is taken on the rescue maneuvers throughout the practical portion as they are considered something that could very well save a life in an emergency situation. Further time is taken with our trainers to explain what areas need to be a focus when training their colleagues. 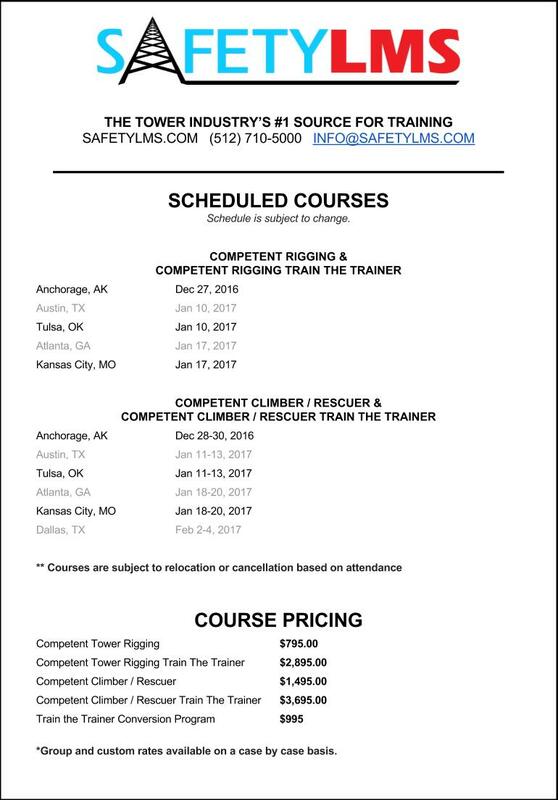 Following the course, the trainers are provided with all of the documents and presentations they will need to be successful and carry on the superior training that Safety LMS is known for. Copyright © 2016 Safety LMS, All rights reserved.